Oh robot, just because you’re made of nuts and bolts, doesn’t mean we don’t love you. Just because our computers and our smart phones are made up of chips, doesn’t mean we don’t want them in our lives. Just because TV is attached to our walls, doesn’t mean they’re not a part of our lives. 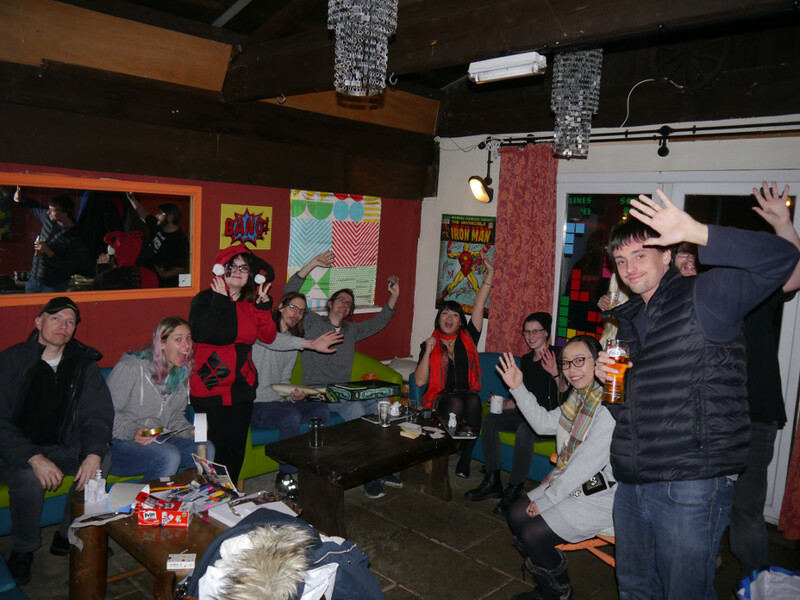 Whether or not you’re a big tech fan, we’re back for another great GeekOut Bristol Meet. So come along, share your passion for technology (and all of your geeky interests) and show us what it means to be the ultimate tech-head! 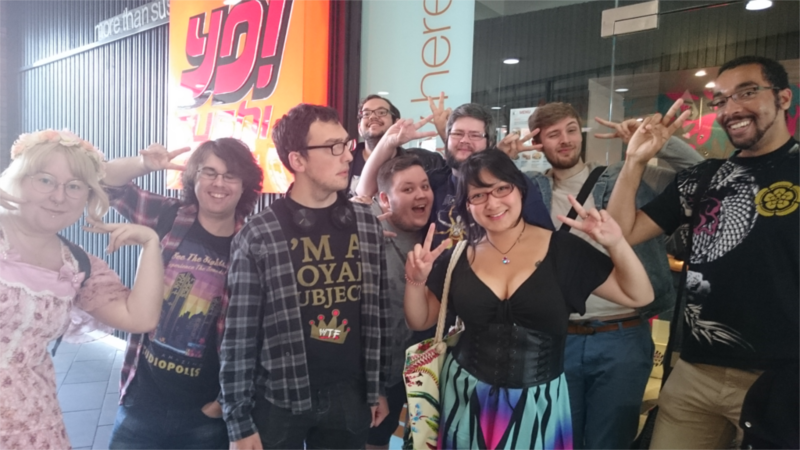 We’ll be meeting at middat at Wagamama’s in Cabot Circus after another winning outting for that venue; so if you’re around on Friday before the starting point, you know where to find us! We’ll be meeting up inside at midday, but if you’re coming along, we’ll be meeting outside of the venue for up to 15 minutes in advance. We’re getting technical, as we celebrate all that is tech. 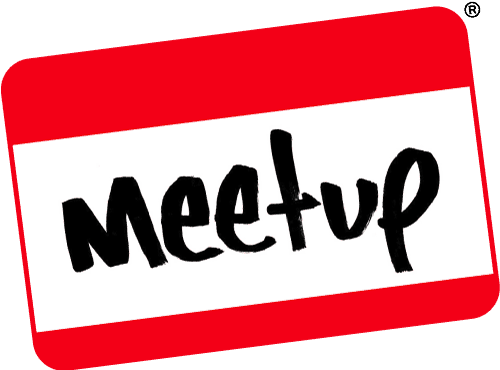 So whether you’ve debated about the best Operating System; if you’re a Raspberry Pi lover; if you love LEDs; if you love to play with electronics of all kinds, then this is the meet for you. However, just because we’re getting techy doesn’t mean we don’t appreciate going low-tech! 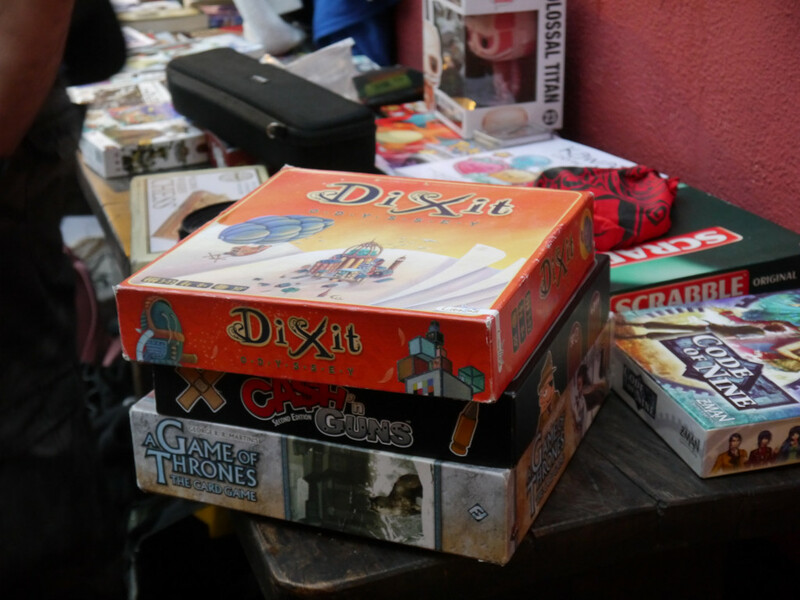 We still love a good board game, we still love to read books and comics, we still adore our cosplayers. So, whatever your fandom, come join us for a night of fun and games! Food & drink can NOT be brought in with you to the Old Market Tavern. If you are caught with food and drink not bought at the premises, you will be asked to leave until you’ve disposed of your food or drink. There will be a food menu at Old Market Tavern in the evening! The food is very cheap and it’s absolutely delicious! Trust me, I’ve eaten there enough times… But regulars of the event are also fans of the food! The food is homely and freshly made as well, so it’s simply scrummy! Food is usually available from 5pm. Board games swamped our meets. Our new game for the month is Unusual Suspects; a game where you try to make heads or tails of what a witness says about some suspects. We’ll be doing a full review of this game next week. If you’re a techy cosplayer and want to show your chance to enjoy your favourite tech-based character, or if you just want to come along in your favourite costume, then come along! 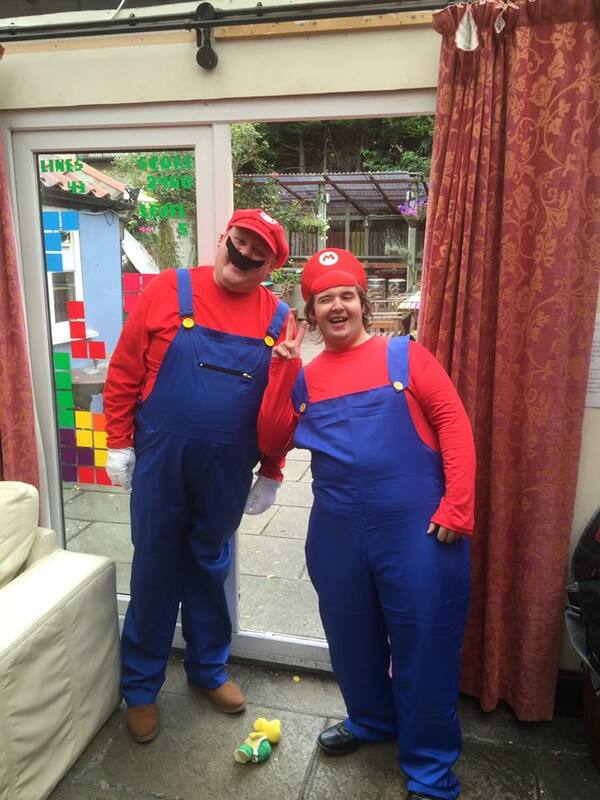 For anyone in costume, we’ll start to host a specific time for a group photo opportunity; So if you are with us by 6pm, you’ll be able to show your costume off with everyone via a group cosplay snap! This month, we’re going to be talking about tech in an educational way. In other words, the competition needs to be techy to some capacity – So the competition is going to be a question sheet (or two) which will be handed out. Attendees will get just one hour to complete the whole sheet, starting at 8pm, then finishing at 9pm. All entries after the 9pm limit will not be counted. Answers will then be checked over and we’ll share the results with everyone! Consider yourself a techy? This might be the one for you! This sheet covers everything from electronics and circuits, programming, gadget news and much more! 1st Prize: Physical Prize To Be Confirmed, £25 cash, 3 Steam games from our list and a GeekOut Poster of your choice. 2nd Prize: Physical Prize To Be Confirmed, £15 cash, 2 Steam games from our list and a GeekOut Poster of your choice. 3rd Prize: Physical Prize To Be Confirmed, £10 cash, 1 Steam game from our list and a GeekOut Poster of your choice. 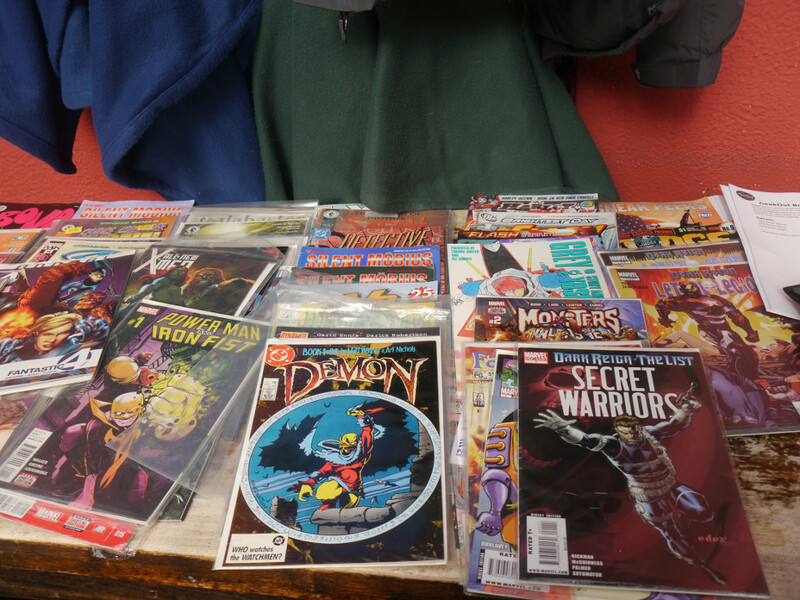 It’s that time of the month once again, when GeekOut Bristol takes to the streets… No we don’t. 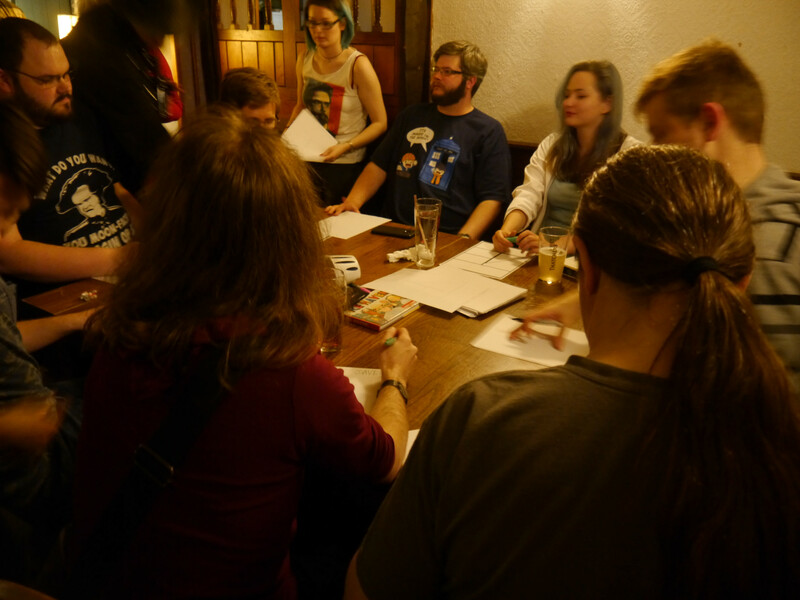 We get to the pub and we enjoy drinks, board games, video games, comics and books, stories, tech and so much more. But what do we have planned this month? What makes this one so special, that you really shouldn’t miss this event? 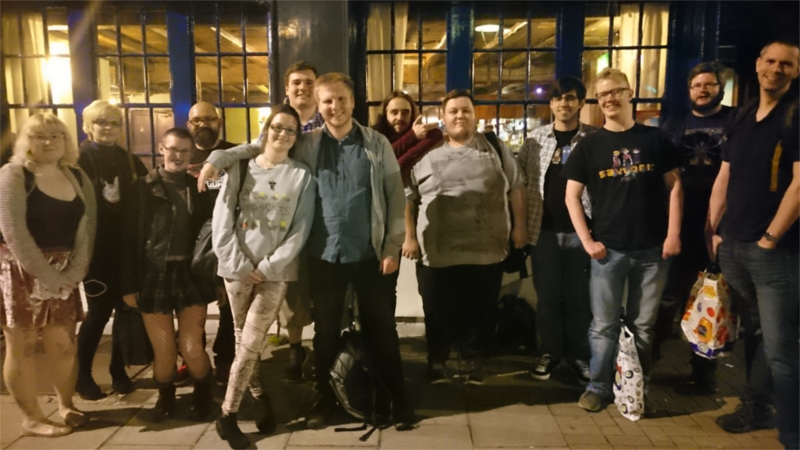 As always, we’ll look at what’s coming up this Friday at our seriously cool GeekOut Bristol Meet. If you’re like me, then you have a mobile device that loves to just die; It gives up and it goes kaput. You’re in the middle of an important call when suddenly the phone says “remember that 10% of battery you had? Sykes! You have 0% now, loser!” What if you just really love to play Candy Crush Saga on your phone? Well then, might I be able to recommend you invest in a portable charger/charging bank? Join Timlah as we look through portable chargers and what you should look out for when purchasing one.